Breastfeeding was easy for Valerie Minarchick when her first daughter was born. Just days old, Riley Minarchick gazes up at her mom. Among other benefits, breastfeeding promotes bonding between mothers and babies. Photo by UCHealth. Grace, now 20 months, latched right away, then let her mom know when she was hungry and breastfed on demand. No problem. But, her little sister, Riley, made an early debut recently. Born on June 29 at just 35 weeks, Riley, like many preemies, has struggled in her first days with feeding and gaining weight. Riley is getting bigger and stronger every day. Here she gesticulates after a breastfeeding session. Photo by UCHealth. Thankfully, the lactation support team at UCHealth University of Colorado Hospital has stepped in to help. Nurses provided Minarchick with donated human breast milk for Riley until Minarchick could produce enough milk herself. 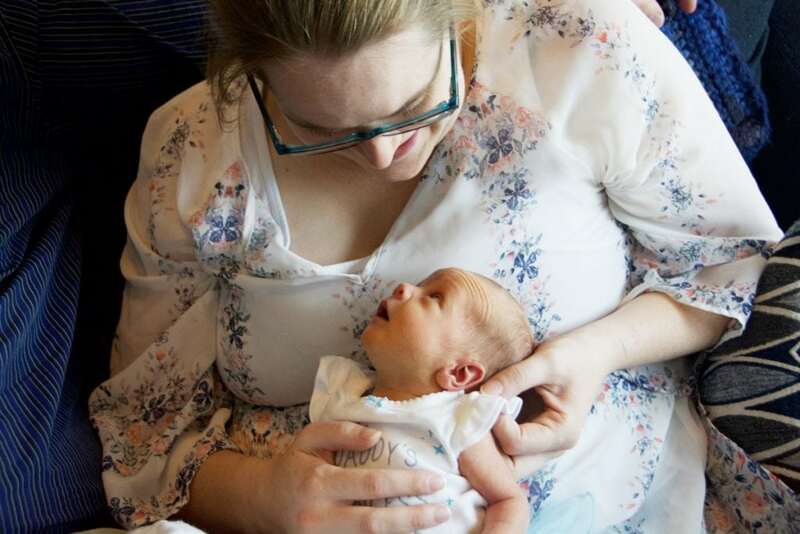 And, lactation pros have provided extensive support to ensure that Riley grows and Minarchick succeeds with breastfeeding under more challenging circumstances her second time. “Our lactation consultant has been just been fantastic in helping me develop a plan. It’s reassuring that Riley will still be able to breastfeed exclusively,” Minarchick said. A research scientist, Minarchick has studied the benefits of breastfeeding and knew she wanted to give her babies her milk. UCHealth hospitals are getting more “Baby-Friendly.” Nurses receive special training so they can help new moms bond with their babies and get the best start possible at breastfeeding. Photo by UCHealth. The UCHealth system is becoming even more “Baby-Friendly” so more moms like Minarchick can get the breastfeeding support they need to succeed. Three UCHealth hospitals recently earned the prestigious Baby-Friendly certification: UCHealth University of Colorado Hospital in May and both UCHealth Memorial Hospital Central and UCHealth Memorial Hospital North in Colorado Springs in June. These three hospitals join the first two that led the way. UCHealth Poudre Valley Hospital was one of the first Colorado hospitals to receive the Baby-Friendly designation back in 2009. UCHealth Medical Center of the Rockies became Baby Friendly in 2011. UCHealth lactation consultants provided extensive support and tailored plans to help moms breastfeed their babies. Photo by UCHealth. The World Health Organization and the United Nations Children’s Fund (UNICEF) launched the Baby-Friendly movement back in 1991 to promote global health by increasing education and support for breastfeeding. In years past, infant formula manufacturers handed out gift bags of free formula in hospitals that often disrupted breastfeeding in their earliest days. Keeping mothers and newborns together in the same room. Showing mothers how to breastfeed and fostering support groups. Giving infants no food or drink other than breast milk, unless medically indicated. Promoting breastfeeding on demand and giving no pacifiers that could disrupt breastfeeding. At UCHealth Memorial Hospital Central, Richiel Dasalla had her son, Aden, on July 5. He was born via a C-section. In years past, mothers who had C-sections sometimes didn’t get the chance to start breastfeeding right away. Dasalla credits her early success with breastfeeding to the immediate “skin-to-skin” contact she got to have with Aden. “I wasn’t afforded that with my first child. I didn’t see him for four hours,” Dasalla said, adding she believes that birth experience in another state was a big factor on why she gave up on breastfeeding and opted for bottle-feeding. 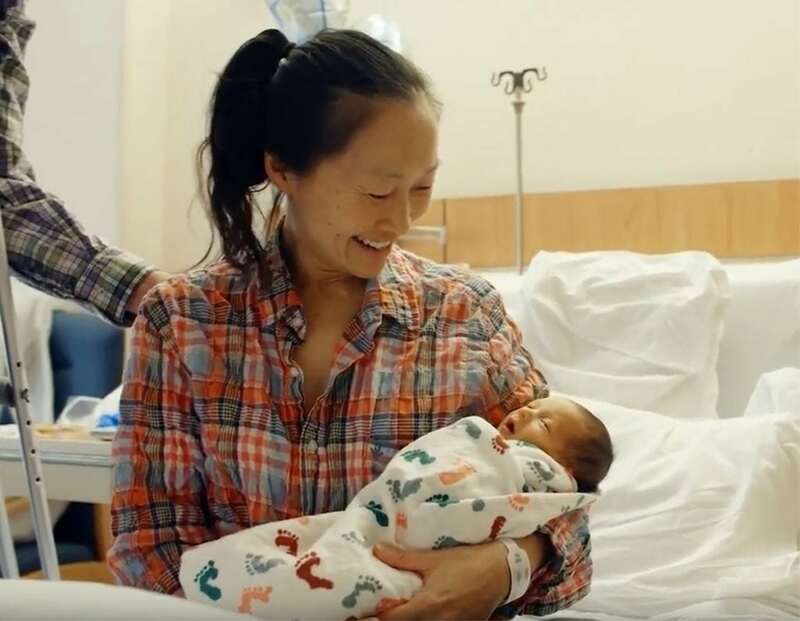 Kezia Hagiwara is a nurse and lactation consultant at UCHealth Memorial Hospital North, who worked hard to help UCHealth’s two Colorado Springs hospitals achieve Baby-Friendly status. She said it’s been a privilege to watch magical moments with new mothers. Breastfeeding can be challenging at first for some mothers and babies. With support, moms and newborns can get the best start possible. Photo by UCHealth. For instance, right after nurses at Memorial started giving every mom – including those who had delivered via C-sections – the chance to have skin-to-skin contact immediately after birth, a nurse placed a newborn into her mother’s arms. “She looked at her new baby, then at the nurse, and with tears in her eyes, said, ‘Thank you. I never got this opportunity with my other babies,’” Hagiwara said. Hagiwara said she experiences joy with the moms she works with every day. A mother recently had trouble getting her newborn to latch. She and Hagiwara worked together and the baby finally latched after 36 hours of trying, bringing everyone to tears. Specially trained lactation consultants work with moms to help them breastfeed immediately after the baby’s birth. Photo by UCHealth. At UCHealth facilities, families can learn about the benefits of breastfeeding long before their babies are born through pre-natal visits and breastfeeding classes. Once the baby arrives, mothers work with lactation consultants to create a tailored feeding plan. Nurses promote skin-to-skin contact to establish bonds and successful breastfeeding. The help doesn’t stop when the mother and baby leave the hospital. They receive a network of resources, including access to support groups, breast pump rentals, outpatient lactation consultants, phone help and in-person appointments. The UCHealth system is also working to establish virtual visits for breastfeeding support, an effort that the Baby-Friendly evaluators noted and applauded. For Minarchick, the second-time mom, Riley’s early birth turned out to be a blessing. As Riley was born, her nurses and doctors discovered that the umbilical cord had been wrapped three times around Riley’s neck. Fortunately, the cord was long enough that Riley did not have any breathing problems. But, it’s possible that the cord around her neck could have caused serious problems had she made it to 40 weeks. Valerie and Nate Minarchick with their daughters, Grace, left, and Riley, right. Breastfeeding Grace was easy, but Riley arrived early and Valerie has needed plenty of support from breastfeeding pros. Photo by UCHealth. “She knew she had to get out,” said Minarchick. Riley’s birth weight was excellent for a preemie: 6 pounds. But, like many babies born early, she was more interested in sleeping than eating. As with all premature babies, the lactation pros stepped in right away. Minarchick’s lactation consultant, Sara Aldecoa, immediately helped Minarchick start pumping her milk so she could build up a supply. Then she strategized about options for Riley and Minarchick opted for the donor milk. Aldecoa also helped Minarchick put Riley to the breast regularly and taught her tricks to keep her as alert as possible. 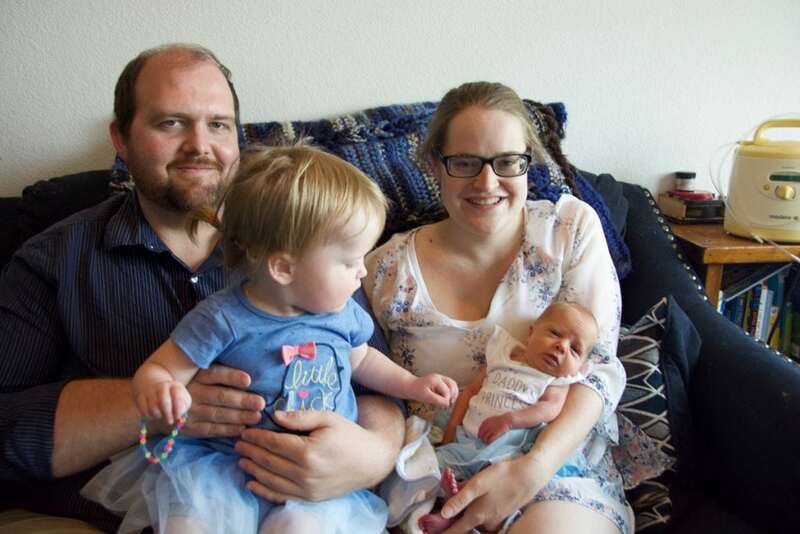 Then, to help Riley get back to her birth weight and build energy, Aldecoa showed Minarchick and her husband, Nate, how to give Riley breast milk from a bottle without making it flow so fast that Riley wouldn’t want to do the work of breastfeeding later. 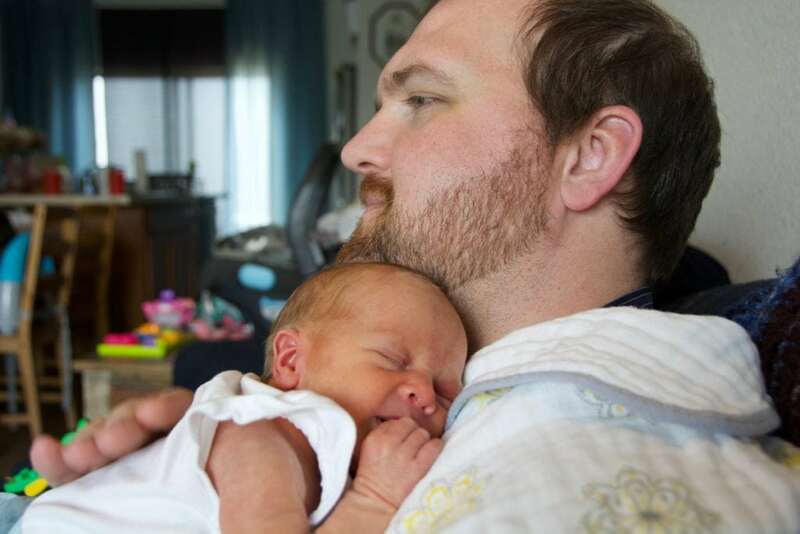 Nate Minarchick has been doing all he can to help his wife, including cuddling with his younger daughter, Riley, while his wife pumps her milk. While the process of getting Riley going has been exhausting, Minarchick said the help she received was essential. Aldecoa is thrilled to now work at a Baby-Friendly hospital. “It really puts an emphasis on education, so moms can make the best decisions,” she said. UCHealth writer, Cary Vogrin, contributed to this story.